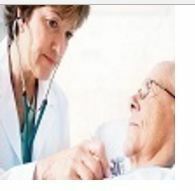 Respicare Salt Room Therapy - Nursing Homes / Clinics / Hospitals of emphysema, eczema & hay fever in Bengaluru, Karnataka. Emphysema is a permanent enlargement of the air spaces distal to the terminal bronchiole accompanied by destruction of their walls. 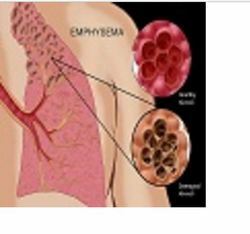 Lung tissue destruction caused by emphysema is mainly the result of chemical inhalation. The most common source of such chemicals is smoke from both first and second hand smoking. As this disease progresses, and more of the lungs break down, more air gets trapped into the lungs. It may feel like you can’t get air in, yet the truth is you can’t get air out. Eczema is a form of dermatitis. The term Eczema, is given to a range of persistent skin conditions. Eczema is a recurring, non-infectious, inflammatory skin condition and often presents as dry, red and itchy skin and can be characterized by one or more of these symptoms:Dry, red or patchy skinItchingFlakiness or cracked skinCracking and/or bleeding of the skinSkin Weeping or oozing watery fluidThe Eczema Association of Australia, states that eczema affects 1 in 3 Australians at some stage throughout their lives and is most commonly seen in children. These symptoms vary from person to person and from time to time, within the same person. 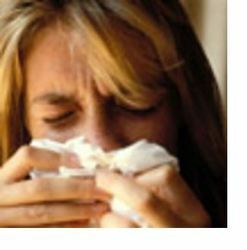 Some people have all the symptoms, while others may only have a cough or wheeze. Sometimes, asthma symptoms are mild and go away on their own or after minimal treatment with asthma medication. Other times, symptoms continue to get worse. When symptoms get more intense and/or more symptoms occur, you are having an asthma attack. 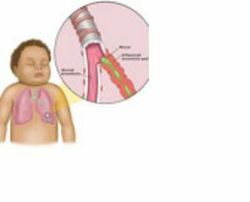 Asthma attacks are also called flare-ups or exacerbations. During a salt therapy session, clients sit in a comfortable chair in one of our salt rooms for 1 Hour (one session), listening to relaxation music and breathing normally. 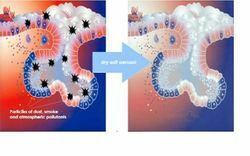 Negatively ionised tiny salt particles enter the respiratory system reaching even the deepest part of the lung (alveoli). Based on clinical studies, the dry, salt diffused air reduces inflammation in the whole respiratory tract; absorbing oedema (swelling) from the mucosal lining and widening the airway passages as well as unclogging blockages in the bronchi and bronchioles thus restoring normal transport of the mucus and rapid elimination of the residual tar and foreign allergens. Salt Therapy helps to treat all four major processes acting on the bronchi: inflammation, excessive mucus, spasm (broncho-spasm), and hyper-reactivity. For most people - after a course of salt therapy, airways become normal and symptoms disappear. Poorly reversible and usually becomes progressively worse over time.